Due to countless technological advancements, law enforcement officers use several measures to detect your speed. As the most common device used to determine speeding, radar devices are the status quo. Radar devices effectively emit waves that bounce off of your moving vehicle. Your speed is calculated based on the frequency change in the waves that are sent out and reflected back. While many of these devices are small handheld radar guns, they can also be larger stationary devices found in an officer's vehicle. While speed cameras may be attached to the radar device, there are a few legal restrictions on using these devices in Texas. 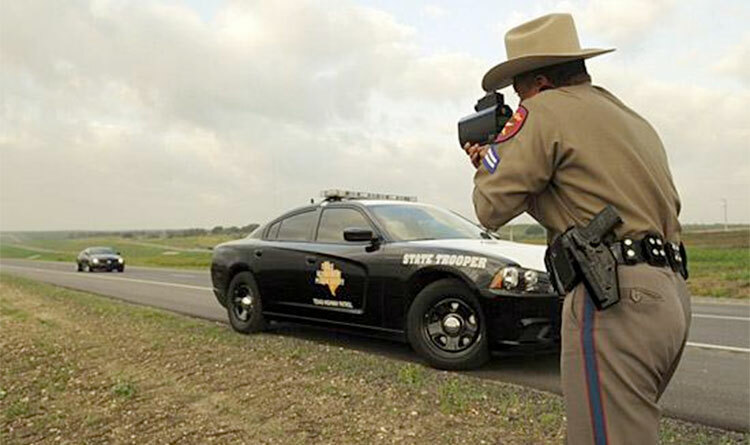 A bill was passed in June of 2007 which prevented cities in Texas from catching speeders with speed cameras. Currently, the only entity legally allowed to use speed cameras is the Texas Department of Transportation (TDOT). Even when the TDOT announced they would begin using speed cameras last September, the public outcry caused them to hold off on using the cameras. Another common speed detection device are lasers. These devices use laser beam pulses aimed at the vehicle. Your speed is determined based on the amount of time it takes the light pulses to be reflected back to the device. While most people assume the aircraft are equipped with maxed out lasers, this is not the case. Instead, aircraft determine speed by quickly calculating the amount of time it takes a vehicle to travel from one stationary point to another. By understanding the distance between the two stationary points, the officers in the aircraft can easily determine how fast you are traveling. When you see the black hoses laid across the road, these may be speed detection devices. It uses the same principle as aircrafts. Once you pass over the first hose, the weight of the vehicle triggers the machine to measure the amount of time it takes you to pass over the second hose. Then the machine uses this information to determine your speed. In any case, the least technologically savvy way to determine a speeding vehicle is with the "pacing" method. In order to pace someone, the police officer must get behind your vehicle and match your speed. Then, the officer simply looks down at their speedometer to determine your pace.